Currently listening to: The Reeling – Passion Pit. I was in town today to collect my glasses and had some money left over so I had a look in Topshop and Primark. 1st,2nd and 3rd photo: Camel wedges – Primark – £16. 4th photo: Keyring – Primark £2. 5th photo: Bow skinny belt – Primark – £2. 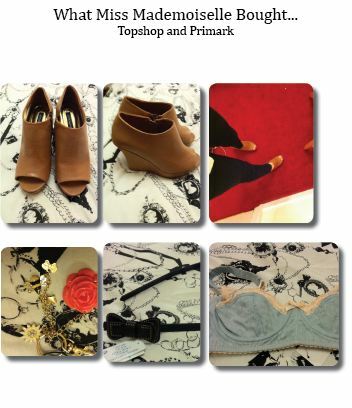 This entry was posted in Fashion, Personal and tagged Fashion, Primark, Topshop. Bookmark the permalink.